The tomato has a multitude of colors, sizes and flavors. Many of the studies have shown that lycopene (a red carotenoid pigment present in tomatoes) may play a role in the prevention of some types of cancer, including lung, prostate and colon cancer. Most of the People take lycopene in preventing heart disease. Long known love apple with its red passion, this generous and fleshy fruit belongs to the Solanaceae family and eaten as a vegetable. It was not until the 16th century that the tomato was introduced to Europe and more specifically in Spain; nowadays it is grown everywhere. 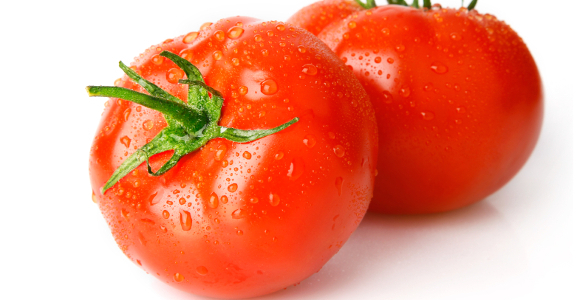 Low in calories because rich in water, tomato yet has amazing nutritional qualities. Its tart and flavor stimulates digestive secretions. Consumed before meals, it will allow for example to better assimilate it. It also has antioxidant properties since it is a source of potassium, vitamin C and vitamin A. Lycopene is the main carotenoid in tomato. According to a study published in the European Journal of Clinical Nutrition , the presence of lycopene in the body decrease oxidative stress and the development of cancerous cells in healthy individuals and type 2 diabetes other hand, processed products fresh tomato allow better absorption of lycopene by the body; indeed, cooking tomatoes increases the bioavailability of this compound, so that ingestion of tomato concentrate, for example, provides three more lycopene in the blood a fresh tomato . As explained above, the lycopene content in the tomatoes would faculty to prevent the proliferation of cancer cells. Thus, a high concentration of lycopene in the blood would reduce the risk of prostate cancer. On a one daily serving – could have a protective effect on prostate cancer, and decrease the risk of 10 to 20%. Eating a tomato for a period of at least 2 weeks increase the oxidation resistance of cells, or oxidative stress has a carcinogenic effect. On the other hand, in women the regular consumption of tomatoes would lower the risk of cardiovascular disease. Should eat often alternating cooked tomatoes to accelerate the blood lycopene concentration “protector” and raw tomatoes to the benefits of vitamin C. It is in the skin of the fruit is concentrated more antioxidants (phenolic compounds, vitamin C and lycopene). Also to benefit from its properties, it is interesting to eat unpeeled. And for fun, you can make colorful dishes with all varieties on the market. Finally, as part of a “pleasure and healthy” diet, tomatoes can be decorated with fresh herbs, raw garlic and olive oil.